Read a book! Become an Entrepreneur! Secret life lessons inside a children's book! 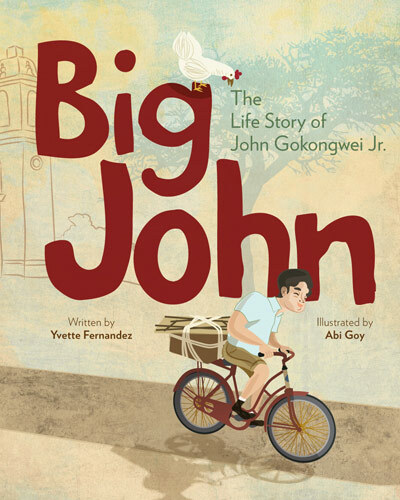 Big John is a children’s book about John Gokongwei, Jr. You read that right: a children’s book about the third richest man in the Philippines. It is strange and that’s exactly why we decided to pick it up and read it on the bus. What a pleasant bus ride that was. Hindi pa huli ang lahat, we realized. Pwede pa tayo yumanan! The biggest surprise about the book was that Big John can be considered a self-help book in the guise of a children’s read about the life of a business tycoon. His story is very inspiring and between those encouraging lines are some very do-able tips on how to fix your life and your mindset. That’s the first thing we learned: a lot of your success in life—in business, in your career, in your relationships, in yourself, in fact—has a lot to do with how you think. It’s no rocket science; we concede that you probably figured that much out already, too. But doesn’t it feel good to be affirmed and reaffirmed? Because we’re always striving to become better versions of ourselves—and because our time on earth may be winding down—we share the eight things we learned from this 22-page book. We suggest you get a copy for yourself, too. It’s a good book to have on your shelf. Next: The 8 things we learned!